Butterflies of Singapore: ButterflyCircle in the News! 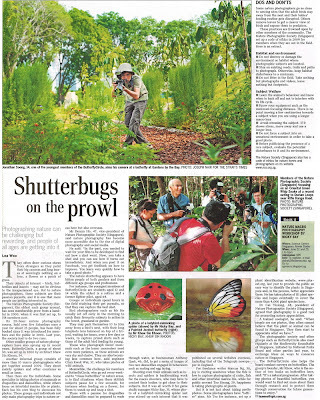 ButterflyCircle was featured in a media article about nature photographers in yesterday's Straits Times Life! Weekend section. 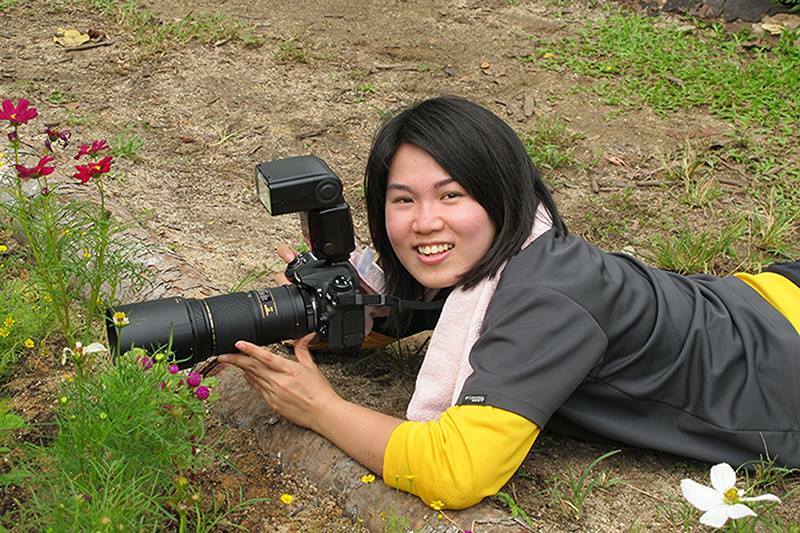 The article, by ST journalist Lea Wee, spoke about nature photography in Singapore, the various interest groups and their respective subjects. ButterflyCircle's 14-year old talent, Jonathan Soong, was prominently featured on the main photograph of the article, whilst he was stalking a butterfly at our outing last Sunday at Gardens by the Bay. Jonathan is now ButterflyCircle's poster boy! 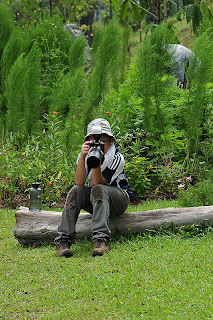 The article talks about nature photography as a challenging but rewarding pursuit by hobbyists and special interest groups, and spending their free time chasing birds, butterflies, dragonflies, spiders, other critters and even plants! Looking back at my own experience over the years, the availability of affordable digital photography technology some time in the early 2000's saw a significant leap in all genres of photography, with nature photography being one of the more popular ones. 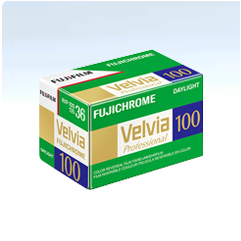 In the days of film cameras, I recall that I had to shoot, wait for the entire roll of slide film (I usually use the ISO 100 Fujichrome Velvia, 36 exposures) to be used up, send the roll for developing, and keeping my fingers crossed, hoping that the shots turn out as expected. There was at least one occasion when the entire roll of slide film came back completely black - I had misloaded the film in the camera! I can never imagine going back to the film days when it was often hit-and-miss with exposures, lighting, focus and so on. 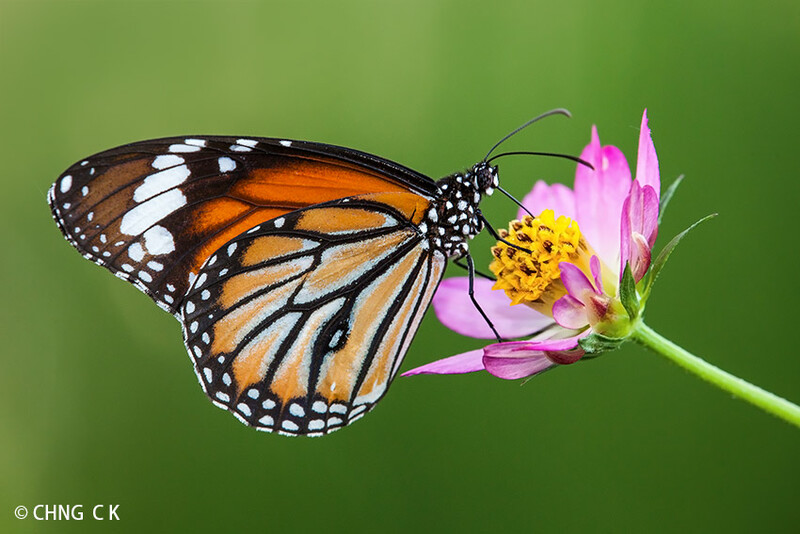 And the one of the boons of digital photography - the ability to change ISOs to suit lighting conditions. With a roll of film, you have a fixed ISO and you have to deal with it until the next roll of film. Of course, the exorbitant cost of developing a roll of slides and printing technology in those days were pretty prohibitive, and shooting at 8 frames per second was unthinkable, unless you had a magazine of film loaded onto your camera back and you also had deep pockets! 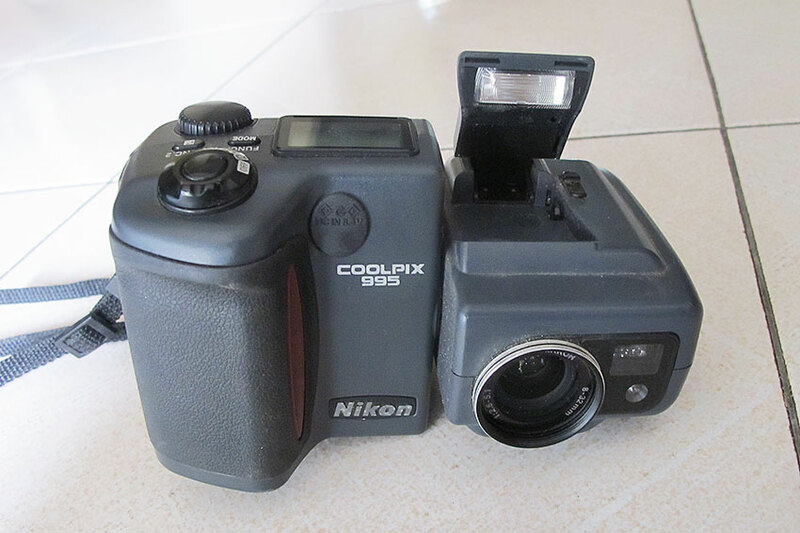 So the digital age crept up silently on us, and during the early days, I relented, jumped on the digital bandwagon and bought myself my first digital camera - a Nikon Coolpix 995. 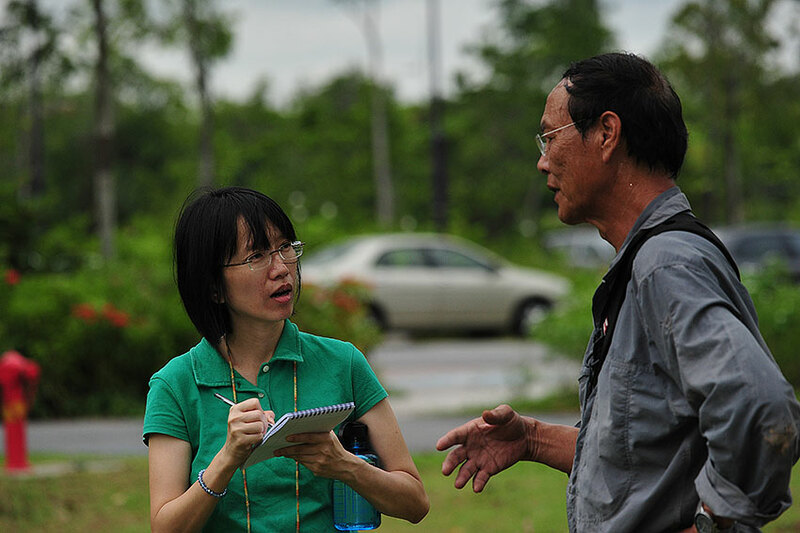 I still remember the heated debates between the film supporters and the digicam supporters. 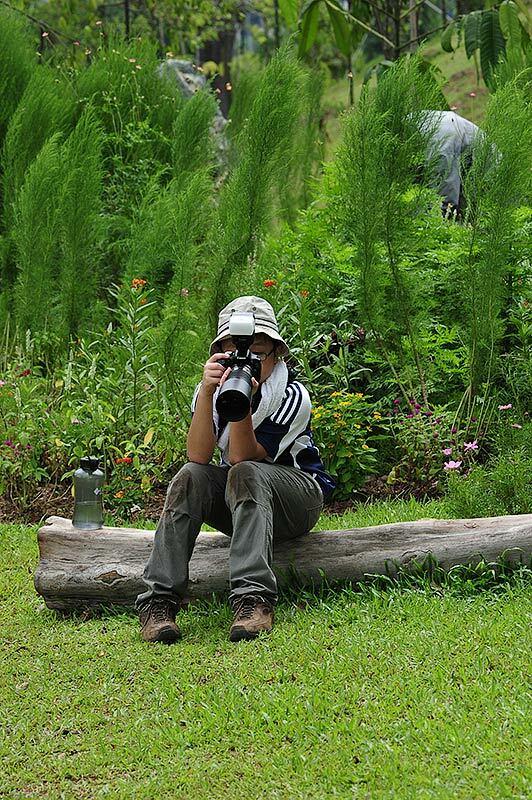 "There is no way that digital cameras can replace film cameras". "The resolution in film will never be surpassed by any form of digital technology". Ad infinitum... I just wonder what cameras these skeptics are using today. 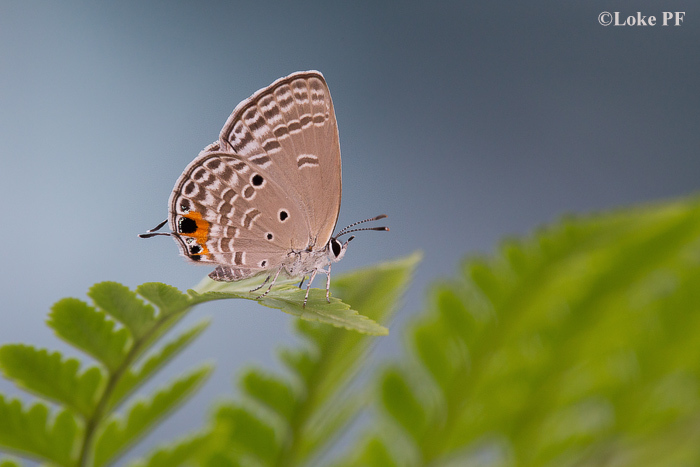 So last Sunday, ButterflyCircle arranged an outing at Gardens by the Bay. ST journalist Lea Wee and photographer Joseph Nair joined us. Our members went about their usual butterfly chasing exploits whilst Joe stalked Jonathan and Lea interviewed Brian, Jonathan, Sunny and me. We continued to hunt for the Vagrant, which was shot by Billy and Cher Hern just a couple of days before (more about this new find in my next blog article). 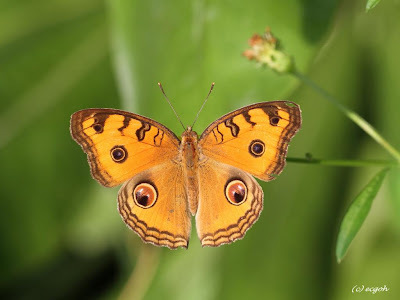 But the latest addition to the Singapore butterfly fauna list was nowhere to be found, and proved elusive, despite so many of ButterflyCircle members hunting for it. 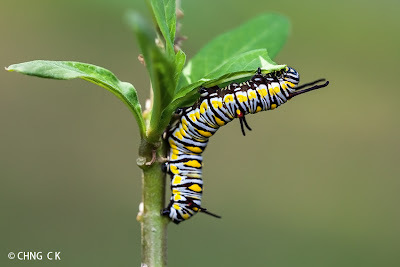 The species will probably turn up again when we least expect it. Two members who had been in hibernation for some time joined us on this sunny morning too, and it was good to see them back in action with the regulars. The day started out with the skies threatening to open up on us, but somehow the winds changed and we were blessed with a relatively sunny day. The butterflies were up and about, and this part of Gardens by the Bay can be considered a 'butterfly garden' by any standards. 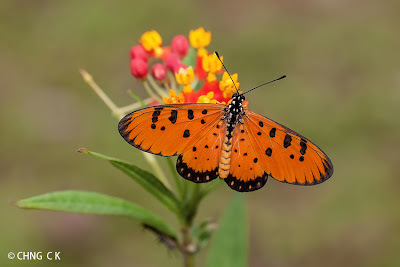 Given that it is a free-ranging butterfly garden, it is ecologically and environmentally more sustainable than a caged facility. 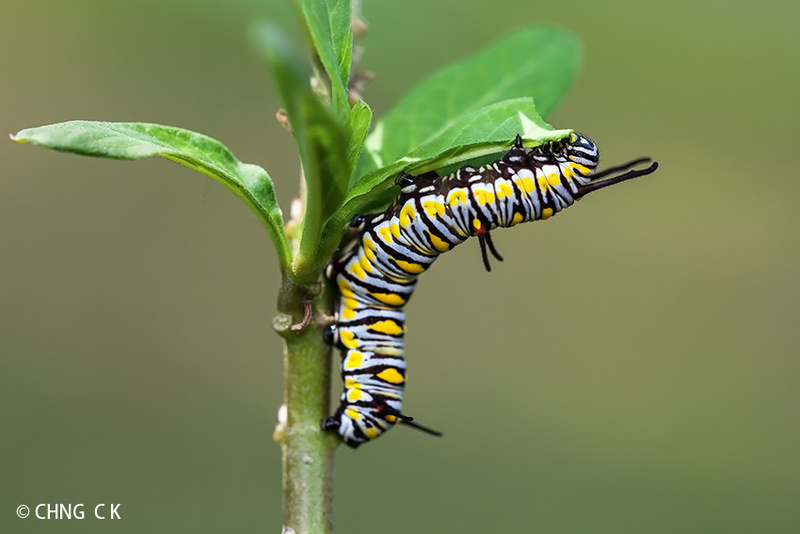 As biodiversity increases, firstly via the horticultural palette of plants, insects like butterflies and bees will follow suit, and then the higher forms of animals will appear to feed on them. 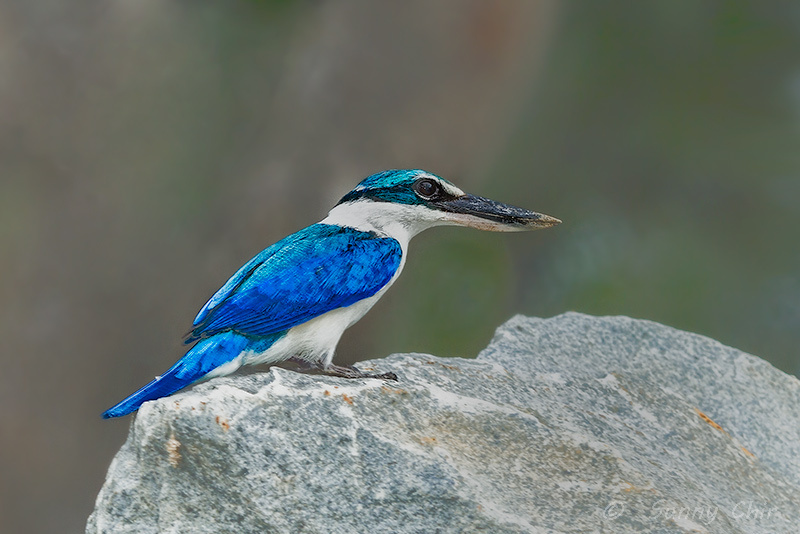 Already, we spotted a 'serial murderer' in the form of a White Collared Kingfisher (Todirhamphus chloris) lurking around the area, and our members spotted it snacking on a poor butterfly. 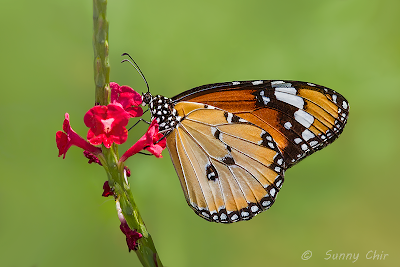 The rarer form-chrysippus of the Plain Tiger - a male, also made a guest appearance. In Singapore, the dominant form is the white-hindwinged form-alcippoides. 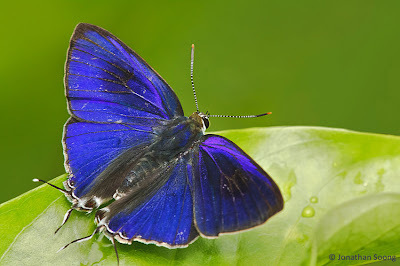 The form-chrysippus which has the hindwings unicolourous with the forewings, is much rarer, and sightings of this form have been few and far between. 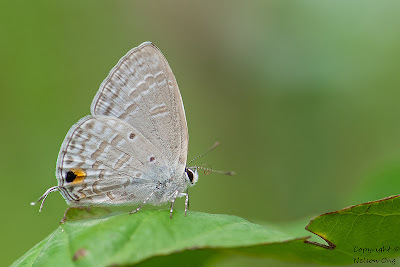 Interestingly, as we move northwards to Malaysia, and even further afield to countries like India, the orange-hindwinged form-chrysippus is the dominant (and more common) form. It was fun watching veteran ButterflyCircle member Sunny Chir racing after the Plain Tiger. 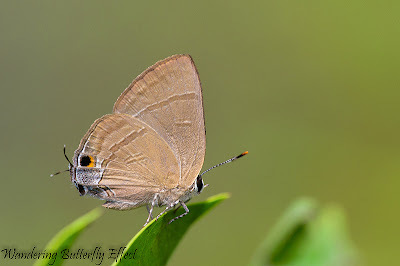 He was very focused, as he locked his 'gun-sights' on the skittish and constantly on-the-move butterfly and determinedly tracked it for almost half and hour. 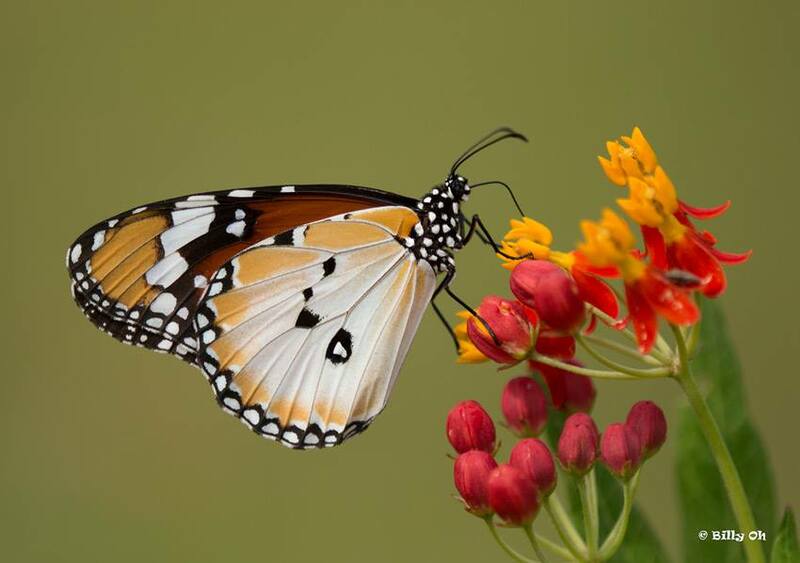 It was a case of whether the butterfly or the photographer would be fatigued first. But Sunny's shot above indicated that it was the butterfly that needed refueling break first. In an earlier blog article, Sunny shares his experience and techniques in stalking and photographing butterflies. Butterfly photography is indeed a challenging past time. 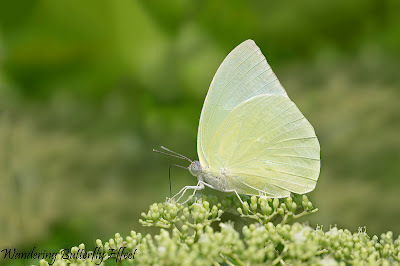 There're always the difficulties of a skittish subject, finding a clean background, lighting condition, struggling with a strong breeze at times and most importantly, understanding and respecting nature and the environment around us. 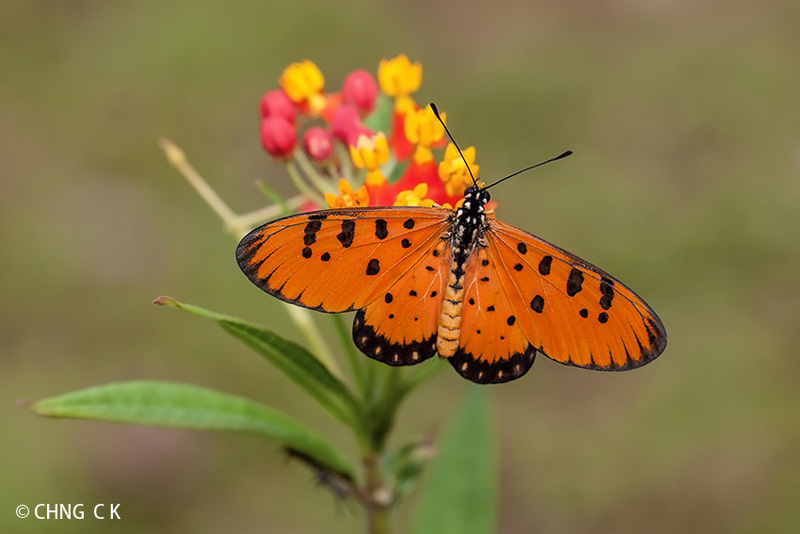 Fueled by the thrill of the hunt, and the satisfaction of admiring a well-executed shot on screen makes ButterflyCircle members go out on butterfly shooting outings weekend after weekend in our quest for the 'perfect shot'. 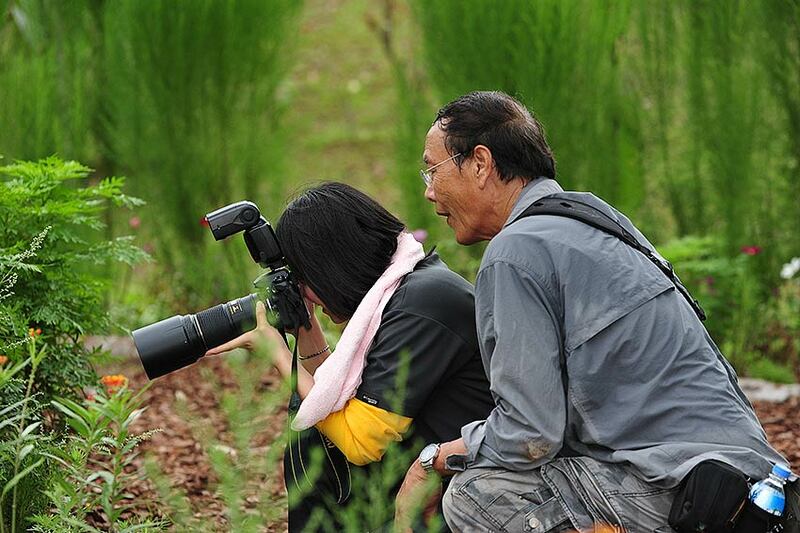 ButterflyCircle's youngest member, Brian Goh, scrutinising his camera's preview screen to see whether he nailed that 'perfect shot' or not! Special acknowledgment to Singapore Press Holdings for the ST Life! Weekend article and Lea Wee for the excellent article on Nature Photographers in Singapore. WildSingapore! 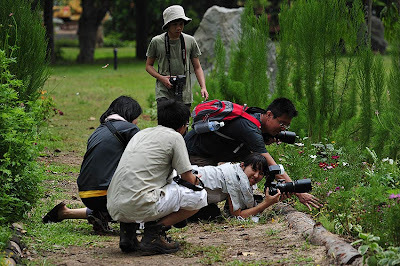 : Shutterbugs on the Prowl!